Now we’re thrilled to celebrate another big day for Dublin - with plans for a new campus right in the city, the creation of 1,500 jobs over the next five years and an incredible $1 million USD grant to Educate Together, the educational charity that runs equality-based schools in Ireland. 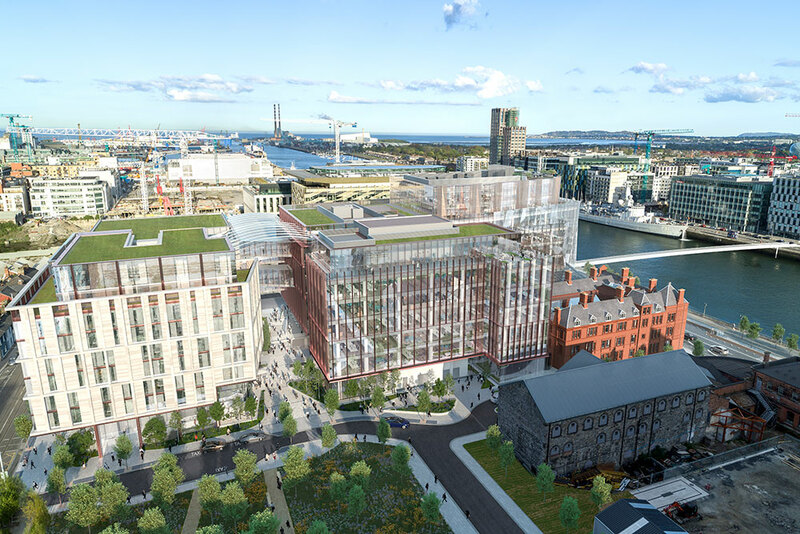 Salesforce Tower Dublin will bring all of our local employees together in a campus of four interconnected buildings in the vibrant Silicon Docks area, right on the river Liffey. Salesforce Tower Dublin will be built according to the principles of our Ohana design standard, and will feature a hospitality “Ohana Floor”, and immersive lobbies with video walls as architecture. The top Ohana Floor will not be executive offices - instead, it will be a welcoming place for our employees, customers and partners to gather and and host their own events. On evenings and weekends, the space will be available free of charge to non-profit organisations and local education groups. When our work is done, we’ll be able to wander (or bike!) along the Liffey paths, straight into the city’s cultural hub. Today, we are at the beginning of what the World Economic Forum refers to as the Fourth Industrial Revolution. It’s a revolution powered by the advances of technology like the cloud, mobile, social and artificial intelligence. In Ireland we play a role in that revolution which was previously beyond our reach. What’s particularly exciting is that our new office is coming to the historic Spencer Dock location and will incorporate the protected building of the old British Rail Hotel. For two centuries our best and brightest emigrated across the world to fuel the labour needs of the previous industrial revolutions. It was in the British Rail Hotel that many of our countrymen and countrywomen spent their last night in Ireland before boarding the ferry to fuel the labour needs of the rest of the world during the previous industrial revolutions. How appropriate now, as Ireland sits as a world leader in the technology and business expertise of the Fourth Industrial Revolution, that we bring our Ohana back to that same hotel lobby - this time not as unskilled labour but as global leaders in the new technologically empowered business world. The new development will be one of the most sustainable offices Ireland has ever seen as we’re pursuing double LEED v4 Platinum certification, Net Zero Carbon certification, and the project will be one of the first commercial occupied nZEB (nearly Net Zero Energy Building) in Dublin! 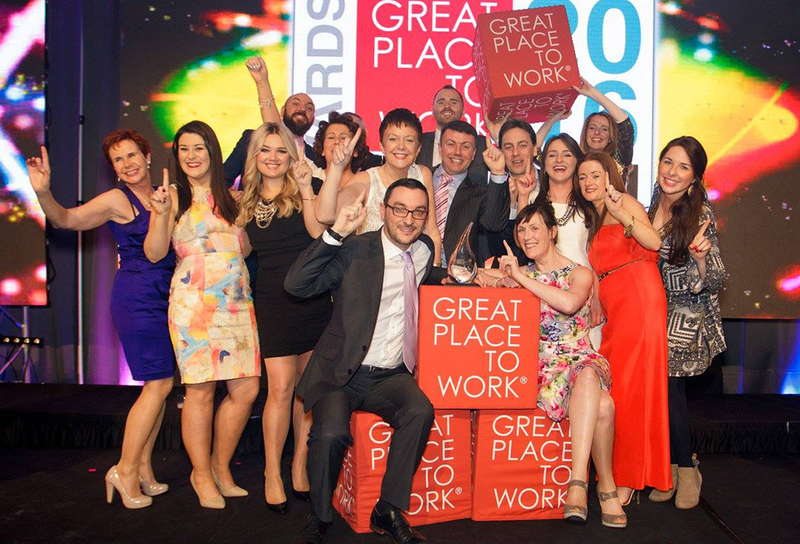 Get this, our Dublin office has 35 different nationalities represented locally! Now, as well as uniting our existing, world-class, multi-national team in the same, beautiful space, Salesforce Tower Dublin will welcome many new faces over the coming years. As part of today’s announcement, we’re adding 1,500 jobs over the next five years alone – across all functions. 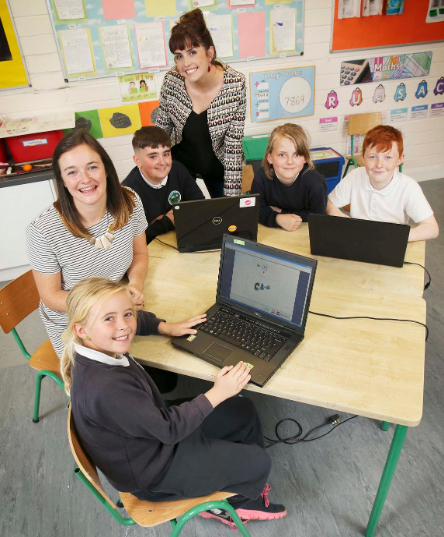 In line with our model of giving time, technology and resources back to the communities in which we live and work, Salesforce.org has previously given more than $1.6 million in grants to organisations based in Ireland, including CoderDojo, Citywise and St. Peter’s School in Bray. 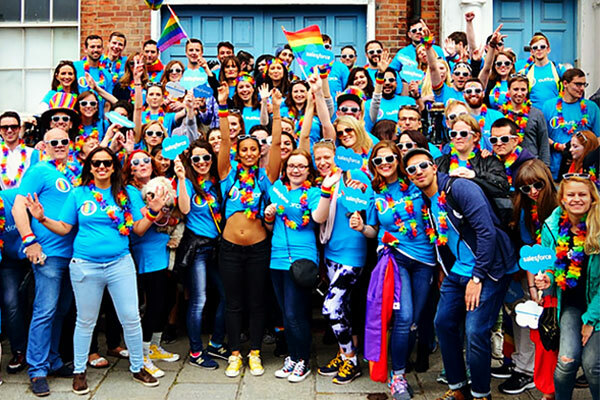 What’s more, our employees in Ireland are set to volunteer 38,000 hours to local nonprofits in 2019. You can find out more about Educate Together here. Sound like your dream workplace? Make it a reality.